“As the president has said, we’ve stated many times, he did nothing wrong. There are no charges against him,” press secretary Sarah Sanders said at a White House briefing this morning, Australian time. Cohen yesterday pleaded guilty to eight criminal charges of tax evasion, bank fraud and campaign finance violations. He told a federal court in Manhattan that Trump directed him to arrange payments ahead of the 2016 presidential election to silence two women who said they had affairs with Trump. In the wake of the Cohen’s plea, Senate Democrats demanded that upcoming confirmation hearings for Supreme Court nominee Brett Kavanaugh be delayed. Earlier, the president lashed out at Cohen on Twitter, saying the campaign finance violations Cohen pleaded guilty to in federal court in New York were not a crime – even though prosecutors and Cohen agreed that they were. Trump made the claim without offering any evidence. Fox News reporter Ainsley Earhardt also said Trump told her in the interview that “he would consider” pardoning Manafort. “I think he feels bad for Manafort. They were friends,” Earhardt said in an appearance on Fox News’ “Hannity” program. Fox News has been airing excerpts of the interview with Trump, which is yet to be broadcast, but he excerpts have not included a clip of Trump saying he would consider pardoning Manafort. “If this was a personal matter, why wasn’t she paid off after the affair or in the intervening decade?” said Paul S. Ryan, the head of litigation at Common Cause. Cohen’s lawyer Lanny Davis said his client had information that would be of interest to Special Counsel Robert Mueller, who is investigating whether the 2016 Trump campaign conspired with Russia to influence the election. Davis has set up a website to collect donations for Cohen’s legal expenses. 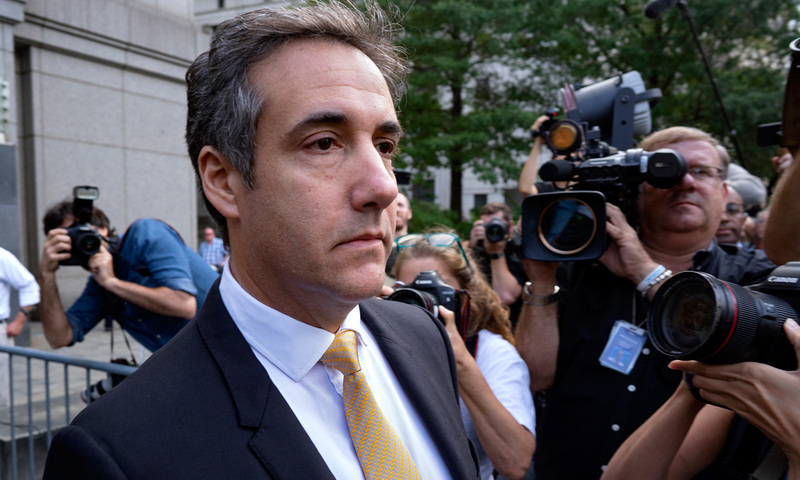 New York investigators have issued a subpoena to Cohen in connection with the state’s criminal investigation of the Trump Foundation, a state official said.